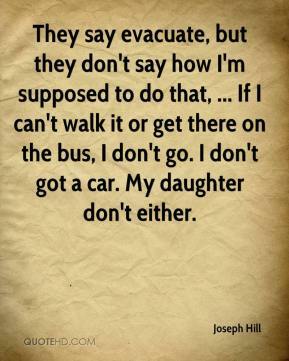 They say evacuate, but they don't say how I'm supposed to do that, ... If I can't walk it or get there on the bus, I don't go. I don't got a car. My daughter don't either.